Northamptonshire has the enviable position of being the centre of the UK’s distribution. Our head office in Northamptonshire is within a four hour drive of 80% of the population. Selecting a suitable logistics partner can be a challenging process and one which is essential to the running of your business. You need confidence that your products will arrive on time, as ordered and in pristine condition. Hamsons Haulage prides itself on a high level of service and its commitment to quality which will benefit both you and your clients. We have a modern transport fleet which is subject to regular updates as a part of the company’s continuous renewal programme. This enables Hamsons Haulage to continue providing a reliable service whilst minimising its environmental impact. In addition to its strong UK service, Hamsons Haulage operates both groupage and full load, door to door services throughout Europe. You can trust us with your European road freight to Albania, Austria, Belgium, Bosnia-Herzegovina, Bulgaria, Croatia, Czech Republic, Denmark, Estonia, Finland, France, Germany, Greece, Hungary, Ireland, Kosovo, Italy, Latvia, Lithuania, Luxembourg, Macedonia, Malta, Montenegro, Norway, Netherlands, Poland, Portugal, Romania, Serbia, Slovakia, Slovenia, Spain, Switzerland, Sweden and Turkey. 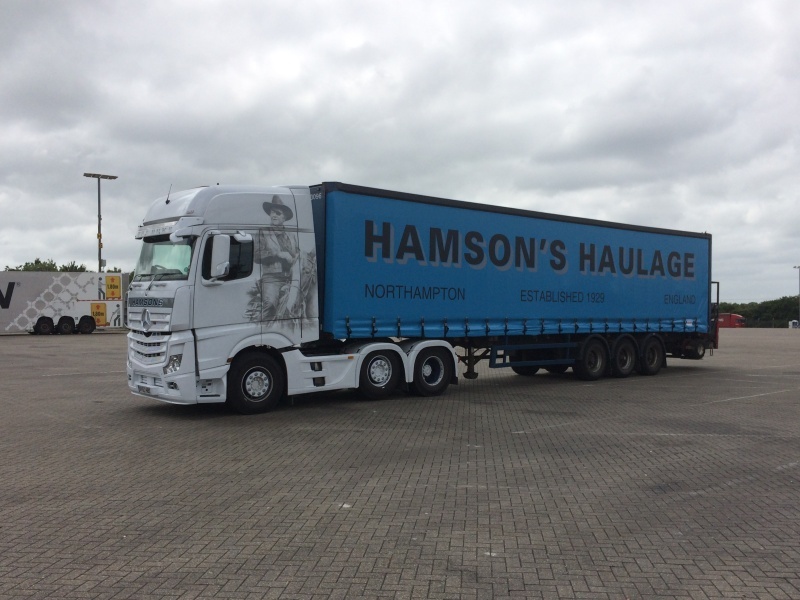 Hamsons Haulage offer a number of trailers available for hire, varying in type and size. Renting a trailer means you are not tying up your capital in an asset, or having to take out finance. The capital saved / credit available can be invested in other areas of your growing business. Renting trailers is a flexible, no risk scenario. Simply put, you pay for what you need, when you need it. We offer a number of options, however the two most popular options, are spot hire and contract hire. Both are generally fully inclusive of maintenance and servicing. For customers who run multi-site operations covering the length and breadth of the UK, our seamless centralised administration complements our nationwide coverage. The containers are available for hire either on a plot at Hamsons Haulage or they can be delivered to your own site. The containers are in perfect condition being wind and water tight. They have 4 vents incorporated in each corner for ventilation and a lockbox to ensure the padlock cannot be tampered with making them a very secure storage unit. 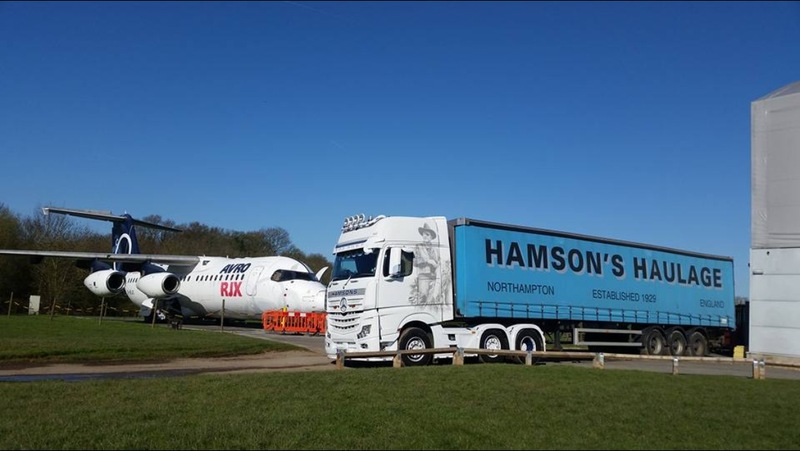 Hamsons Haulage is situated in a congestion free location just off the A43 giving easy access to the local area. The containers are on a secure site within the Hamsons Haulage perimeter. 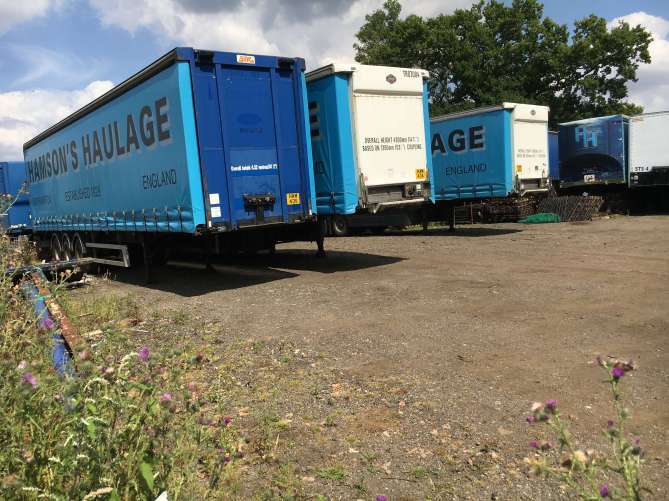 The containers can be used for all manners of uses such as storage of stock for your business, archiving of documents, car and machinery storage, parts storage and even a small workshop facility. There are endless uses the containers can be put to. 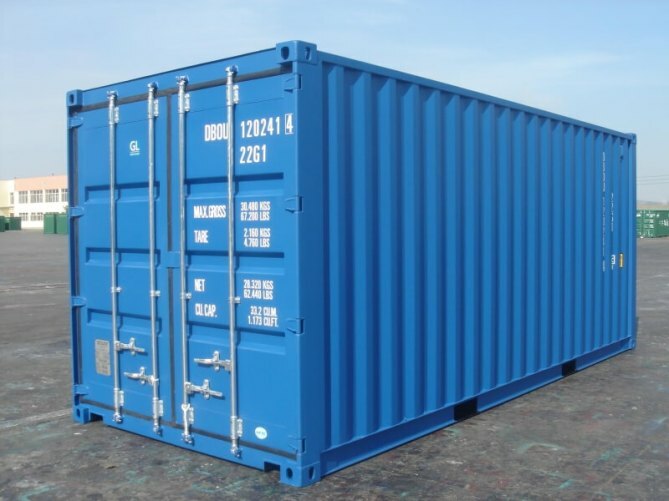 Containers are available on short or long term hire. Hire charges vary dependent of the length of hire. 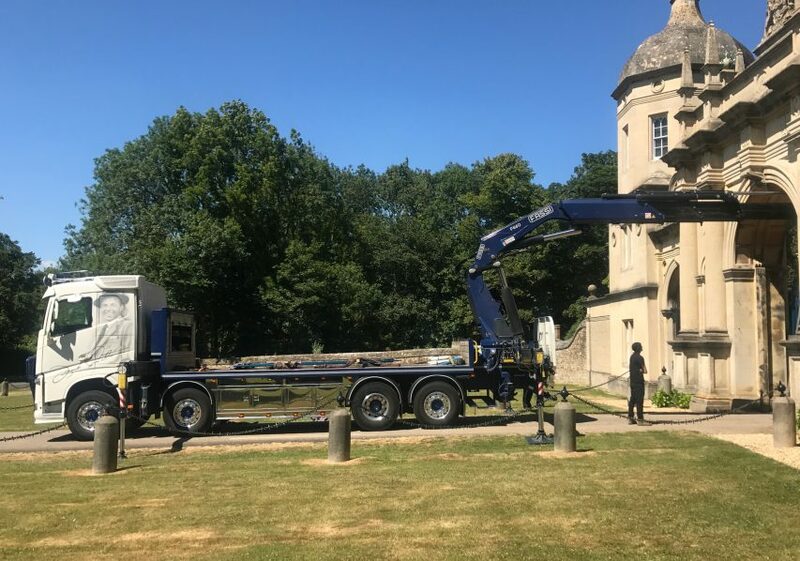 Among the many excellent road haulage and transport services we offer at Hamsons Haulage is the opportunity to hire lorry-mounted forklift trucks. We offer lorry-mounted forklift truck hire with a service covering one week to six year duration. For short-term needs, Hamsons Haulage can help you cope with peaks in demand or cover for your lorry-mounted forklift truck when in for repair. For long-term needs, Hamsons Haulage contract hire packages give you peace of mind with a known running cost of your equipment. 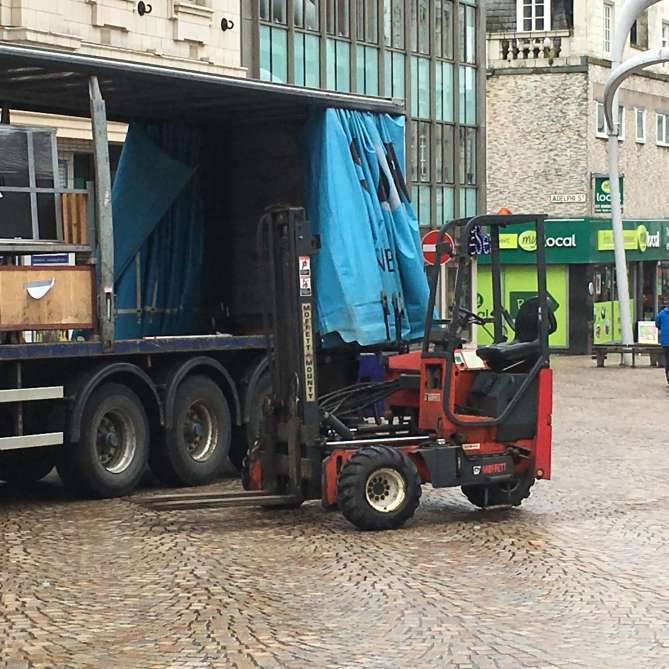 Hamsons Haulage have a range of lorry-mounted forklift trucks for hire including machines that will fit directly onto Hamsons Haulage brackets with no required alterations. So if it’s a rough terrain machine or small and light weight, contact us with your requirements. We want to make your life more convenient, so don’t wait – our quality fleet of HIAB cranes are available for you with a fast delivery time and 24-hour emergency response. All of our crane operators are friendly, fully trained and experienced to help keep your project running smoothly. Our cranes are available for hire throughout the UK and Europe, and all equipment is expertly cared-for in our own workshop.